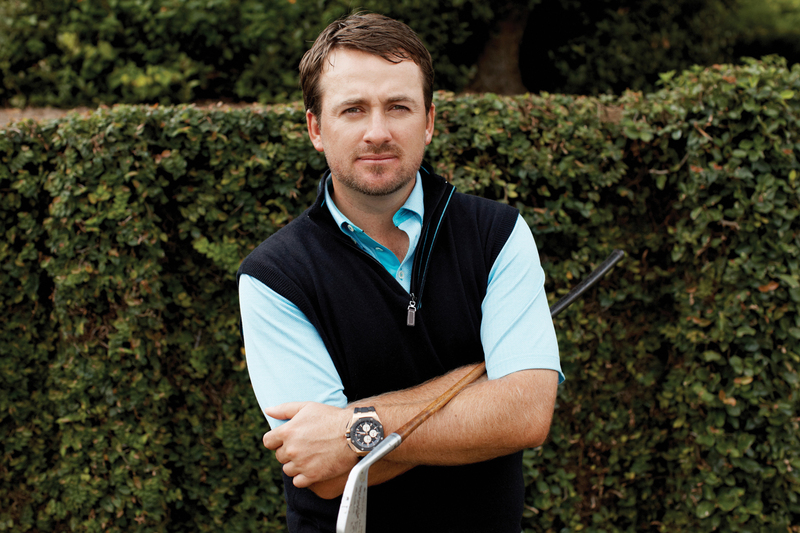 One of Ireland’s favorite golfers Graeme McDowell, winner of the 2010 U.S. Open, has his own clothing line not surprisingly made and marketed by an Irish company. Kartel, one of the largest clothing distributors in Ireland sells in 26 countries and is showing the G-Mac 2013 collection after debuting the line earlier this year. In a release McDowell said, “G-Mac by Kartel is all about me playing to my strengths and harnessing my experiences as a player to create a range that I would want to wear on and off the course.” The G-MAC collection has what might be called modern vintage styling with a sophisticated touch focusing on quality craftsmanship, performance fabrics, innovative design and colors, has culminated into collection of pure artistry. New shirts include the Pima Cotton and 40% DRI-TECH polyester Galgorm polo with tailor stitching on the collar, placket and cuff, as well as on the split back yoke. Moving on from the solids of this current year next year includes a polka dot Gracehill polo featuring a contrast polka dot design and color placket. The Dunluce polo has a herringbone jacquard design with a contrasting placket and the micro-striped Rathmore polo has contrast color on the collar and button placket. All of the polos have either button down or button under semi-structured collars. New knitwear includes MGWool, a 100% pure mercerized wool V-Neck sweater also offered as a sweater vest. There’s the McZip, a quarter-zip knit available in long sleeve or sleeveless and the McButton, a five button cashmere blend cardigan that accents beautifully with a matching polo worn underneath. All the polo shirts are UV 30 and have anti-microbial odor management properties. There are two patented moisture management technologies with Dry Tec that allows shirt moisture to rapidly evaporate while Absorbtec promotes shirts to absorb and quickly dry away moisture. All G-Mac knits are either 100% pure mercerized wool or a cashmere blend; both are extremely breathable to provide optimum circulation.